Following my recent Agents of S.H.I.E.L.D. marathon, I marathoned Arrow– which as you know, is a favorite here at NerdLush. And my adoration for Paul Blackthorne was awakened… additionally, he has been super awesome to NerdLush on twitter, which warms the black pits of my hearts. 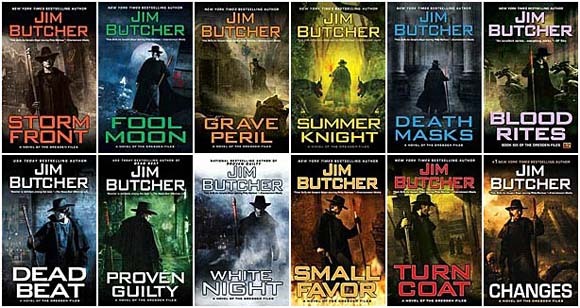 Of course, this means that I pulled out a favorite single season television series- The Dresden Files. In 2000, Jim Butcher introduced the character of Harry Dresden in the novel, “Storm Front”. The character, a wizard P.I., is a consultant to the Chicago Police Department- think Sam Spade but add magic. There are now over a dozen novels in print.